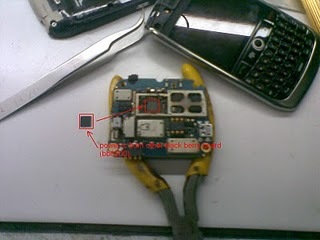 The next Blackberry series picture help we will share is the Blackberry 9000. Today, mobile repair will share how to repair the Blackberry 9000 dead problem. The dead problem in this case caused by no power, and here is the picture help to repair this problem. Check the part one by one as shown by the picture above. 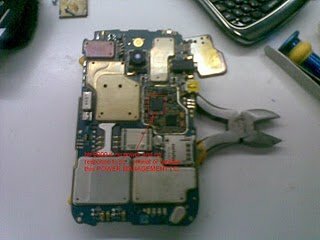 It is better if you have the Blackberry 9000 schematic diagram to find the broken path which cause no power problem. Happy repair!